My 17-year-old son has just recently been diagnosed with Aspergers syndrome. After several really rough years of being bullied and having difficulty with maintaining friendships, we began to see him drifting towards "the wrong crowd" and using marijuana. At first, we assumed it was an experimental thing, but has since caused him to be arrested for possession. He continued to use despite mandatory drug testing. The scary thing is that I fear that marijuana has become his new "obsession." He admitted to daily use and has told me on more than one occasion that he has no intentions of stopping. He sees it as a harmless, "natural" substance. Now, it has gotten to the point where I have seen discussions on his facebook that indicate he is involved in dealing, not as a big time dealer, but what looks like someone who delivers to "friends." He flat out denies he is involved in dealing despite my husband and I having read these messages. He even came home recently with a black eye and I fear he was beaten due to a bad deal. We are scared out of our minds and not sure where to go from here. He wants to go to college, has good grades, but just cannot see the dangerous road he is on, despite many people telling him and the trouble it has already brought to him. We have him in counseling (for the past month or so) and it is clear that he is self-medicating. Do you have any advice? I don't think a traditional drug treatment program would work with his very rigid way of thinking and I'm afraid this could make matters worse. Thank you - your newsletters have brought a lot of great advice and validation during the process of learning about Aspergers. Adolescence is a time that is more emotional for everyone. Yet the hormonal changes coupled with the problems associated with Aspergers can result in the Aspergers (high-functioning autistic) teenager becoming emotionally overwhelmed. Childish temper tantrums can reappear. The Aspie teen may act-up by physically attacking a teacher or peer. He may even experience a "meltdown" at home after another day filled with harassment, bullying, pressure to conform, and rejection. Suicide and drug addiction become real concerns, as the Aspergers teenager now has access to cars, drugs and alcohol. Marijuana is the most widely used illicit drug among America's youth today, and children are smoking it at a younger age than ever before. Moreover, the strength of the drug has increased in the past two decades, and other chemicals are often added to increase its effects. • A significant body of research has identified the consequences of marijuana use, including changes to the brain, problems with learning, effects on mental health, and lung and respiratory damage. Marijuana leads to changes in the brain similar to those caused by cocaine, heroin and alcohol. • Adolescents age 12 to 17 who use marijuana weekly are nine times more likely than non-users to experiment with other illegal drugs or alcohol, five times more likely to steal and nearly four times more likely to engage in violence. • Despite popular belief, scientific research has shown that marijuana use can indeed lead to dependency and addiction. • For teens, marijuana can lead to increased anxiety, panic attacks, depression and other mental health problems. • Marijuana affects alertness, concentration, perception, coordination and reaction time. • Marijuana affects many of the skills required for safe driving and other tasks, and these effects can last up to four hours. • Marijuana is more potent than ever and can lead to a host of significant physical, social, learning and behavioral problems at crucial times in the lives of teens. 60% of teens currently in drug treatment have a primary marijuana diagnosis. Today's marijuana is more potent and its effects can be more intense. • Marijuana is the most commonly used illicit drug in the United States. Every day in 1999, more than 3,800 youth ages 12-17 tried marijuana for the first time. That's more than tobacco. The number of eighth graders who have used marijuana doubled between 1991 and 2001, from one in ten to one in five. Young marijuana users often introduce other youth to the drug. • Regular marijuana users often develop breathing problems, including chronic coughing and wheezing. • Research has also shown a link between frequent marijuana use and increased violent behavior. Moms and dads are the most powerful influence on their kids when it comes to drugs. Two-thirds of youth ages 13-17 say losing their parents' respect is one of the main reasons they don't smoke marijuana or use other drugs. Moms and dads who perceive little risk associated with marijuana use have kids with similar beliefs. Often times, parents neglect to refer to marijuana use when talking to their kids about drugs. They are more concerned about so-called "hard" drugs and the dramatic increase in use of club drugs. Many moms and dads do not fully appreciate the specific dangers of marijuana today. In some cases, they draw on their own experiences with drug, 30 years ago when it wasn't nearly as potent. Clear communication by moms and dads about the negative physical, emotional, and functional effects of drugs, as well as about their expectations regarding drug use have been found to significantly decrease drug abuse in Aspergers teenagers. Adequate parental supervision has also been found to be a deterrent to drug use in Aspergers teens. Specifically, parents knowing how, where, and with whom teens socialize, as well as limiting their child's access to substances that can be abused have been associated with less teen drug use. Limiting the amount of alcohol, cleaning solutions (inhalants), prescription, and over-the-counter medications that are kept in the home to amounts that can be closely monitored and accounted for has also been found to decrease substance abuse by teens. There are also programs that offer treatment for addiction to marijuana that can greatly help parents deal with the marijuana habit of their children. Family-focused abuse-prevention programs have produced reductions in teen drug abuse. Among ethnic minorities in the United States, those who strongly identify with their communities and cultures have been found to be less likely to experience risk factors for using drugs compared to their peers who are less connected to their communities and cultures. Thus, incorporation of a 'cultural component' to drug abuse prevention programs may enhance the effectiveness of those programs. In addition, teenagers 15 to 16 years old who use religion to cope with stress tend to use drugs significantly less often than their friends who do not use religion to cope. Drug use has been found to occur most often between the hours of 3 and 6 p.m. – immediately after school and prior to parents coming home from work. The teenager’s participation in extracurricular activities has been revealed as an important technique in preventing drug abuse in this age group. 1. Recreational Drugs can make an Asperger child feel more "normal" for the same reason that medicinal drugs such as Ritalin work. The addiction is therefore twofold as the child becomes addicted to "fitting in" (the drugs give them an esteem boost). 2. Under no circumstances can you allow this to become a special interest. It will consume everything and for a very long period. In some ways, the special interest can be worse than addiction. Be there for your child. Start doing all kinds of other NEW things with him and try to find an alternative special interest before this one takes hold. I have a son who is almost 14 years old. He has Asperger and mild brain damage from birth. He is very intelligent with testing IQ of 113. Recently we have had some major problems and he has gotten into some legal trouble. He seemed to go downhill fast, there have been some big changes in his life at home (new sibling, parents seperation, biological father coming into his life). Anyway due to the legal issues we had to put im into a residential treatment center for children with autism. He has been there about 4 weeks. They are having a difficult time with him, claim that he has conduct disorder and don't feel that he has Asperger. The frustrating part is that he is a complicated case due to the brain damage and everyone throws their hands up and says they can't help him. I don't know what to do and am scared to death that he is going down a road that he won't recover from. This is just a snapshot of the issues, I am concerned that if this treatment facility says that they can't help, the courts will throw him into the criminal system and he doesn't belong there either. I have Asperger's and I smoke Cannabis daily. "Cannabis Sativa" (the umbrella classification for everything marijuana) provides different effects depending on the strains genetics. For instance, Cannabis Indica, provides relaxing, pain relieving, anxiety relieving values and narcotic values. Strains of this nature are deemed, "Indica Dominant". These differ from "Sativa Dominant" strains, which produce more mental effects, including the anecdotal "paranoia". Proper selection of strain (Ask any one who works in the medical marijuana field) depends on the condition being treated. Cannabis Indica relieve my anxiety that I get from social situation. I have anxiety from social situations because they are very complex and scary to me, and I am often unable to act appropriately. Further, it cures my horrific insomnia (which is also related to the anxiety). Many people with Asperger's experience sleep onset insomnia as a result on not being able to "shut off one's thought process". In other words, they cannot stop thinking about things in order to relax and sleep. Marijuana also benefits me greatly even when NOT high. Many hours after I smoke marijuana, I still benefit from significantly reduced anxiety. This reduction in anxiety has VASTLY improved my social life, and in the end INSURMOUNTABLY improved the overall quality of my life. "I smoke weed because as an aspie, it relaxes me and helps me fit in"
News Flash: Every one who smokes pot smokes it to relax, and if it makes you feel like your fitting in, it doesn't mean you "are" fitting in. It just makes you think you are. This explanation for why an Aspie may use weed is not exclusive to Aspies. In fact it is the same reason given by anyone who has ended up becoming drug dependent or addicted to any drug.Aspie or not, it's the same lie. Weed, alcohol, cocaine, heroin all prey on social discomfort and considering the particular social challenges Aspies face the danger is substantially greater. Couple of hits of weed will not make your court date change but it will help you fit into a 9 x 8 cell. I have a 14 year old son that has been experimenting with marijuana since last year. I have had the conversations about drug use, trying to get him to make the right decision. But I'm having these conversations ALL the time because I'm always learning that he still smokes. Then I discovered that he was experimenting with pills (ex. Xanax and adderall) that he was stealing from my brother. The initial way I learned he was using pot was by actually finding the stuff. He denied it then but I knew it was a lie and eventually began openly speaking about it. We began counseling (which he thought was a joke) and they did a drug test and it came back clean, which told me he just wasn't smoking it on a regular basis. Now he is smart enough to hide it from me, but just last night I overheard him on the phone saying that him and his friends smoked before school and was saving the little bit they had for later. He of course denied saying it. A little about him, he is also not a very high achiever. Hates school and does not like to do any activities or sports. He has also been caught stealing jewelry from my mother twice this summer. So at this point, I don't know where to go regarding the drug use. Do I do home drug testing and take away things if its positive? Do I take away things if I hear him mention anything of it to his friends? Do I restrict him from his friends and if so, how do I do that if I work? I have high functioning Asperger's and am in my early 20s and have been taking medical cannabis for a little over a year now and although when first taking it I suffered in mental focus as my mind and body adapted to the higher level of cannabinoids entering my system than normal all psychoactive chemicals within the herb and it is an herbal medication not a pharmaceutical or street drug such as cocaine and heroin of which I had been taking to deal with my mental and social issues in self medication for 3 years far longer than cannabis and the effects on the mind I can tell you through personal experience are entirely different, it has allowed me to function far better socially and in daily life when taking an even amount of small doses throughout the day on a daily basis allowing me to control my stress anxiety and even my low level dementia and have almost completely replaced my hard drug use in exception to anabolic steroids, hgh, both of which I use for building mind muscle connections I lack due to my diagnosis and the occasional use of coca leaves(only hard drug by law, almost completely harmless in natural form). marijuana has no permanent physical or mental side effects other than lung damage from inhalation of carcinogens which now can be avoided through the many other methods of in take and the only negative short term effects are that of temporary memory loss and minor muscular disfunction during the "high" and occasional lack of focus. none of which are permanent. with all that there is also the fact that cnnabis reacts naturally to receptors in the mind allowing it to relieve stress and other severe and minor mental and physical issues. I am in my late 30s, and have self-diagnosed Asperger's (I would consider it light). I recently began smoking marijuana again and it has opened my eyes to its wonderful powers! When I smoke it, it gives me more empathy towards others, an ability to better connect to people, and just generally better social abilities. 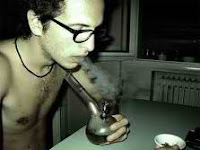 Of course, back in college I would take bong rips and be stoned out of my mind. But now, I just take the tiniest of hits, and that is all I need. It just seems to help bridge the gap of communicating with other people. In my unscientific opinion, it is a wonderdrug that is being purposely held down by the government who is in the pocket of the pharmaceutical companies. Nature had it right the first time! It's interesting. I do understand the link and I understand why it works in some cases. There is certainly some evidence to suggest that it's effective (to a degree and only for some people) but there's also evidence that suggests that it can be quite harmful to others. Personally, I've never used it and I don't feel the need to. I've also talked to people who have been involved with criminals who have used the substance, in particular, I asked whether there were good reasons other than the obvious ones, why it should or shouldn't be legalised. I was quite surprised about the side-effects and other issues surrounding it's use. It may seem like a "safe drug" but it's certainly not for everyone. I wonder if dope can affect people with Asperger's the same way it affects people with bipolar (make symptoms worse) since they are now thought to be genetically linked, just like stress, for instance, makes both conditions worse. There is scientific consensus pot makes bipolar worse, there is reportedly no scientific research into relationship between pot & autism, which is annoying. I've heard of someone whose Asperger's symptoms get much worse for several days after smoking pot, maybe the cannabis is making them worse? I suppose it's possible the hangover is just making them feel rotten so more susceptible to stress, perhaps it may just be the stress not the pot directly making them worse. One encounter with dope can ruin a bipolar persons health for years, quite different to a few days of crankiness. Well, I guess you need to inform what he was doing is not good enough. Too much used of that certain cannabis will give him side effects for addiction and will probably cause him a lot of mental illness. As the delray beach drug rehab say that too much use of marijuana could possibly cause a lot od diseases instead of cure a certain illness.